Canal View in Tetchill, near Ellesmere sleeps 4 people. 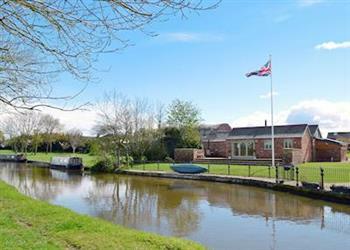 Canal View near Ellesmere is a single-storey barn conversion which is set on the banks of the Shropshire Union Canal and boasts its own, private use, hot tub and well-tended grounds and gardens. Canal View is an immaculate property, inside and out. The quality throughout is complemented by the contemporary décor and soft furnishings. Tetchill is a quiet Shropshire hamlet, located between the market town of Oswestry, Whittington, with its 13th-century castle, set in 12 acres of grounds, where re-enactments often take place, and Ellesmere, known locally as Shropshire’s Lakeland, with boating on the meres. The close proximity to the Welsh borders is ideal to explore towns such as Llangollen which is famous for its canal, horse drawn barges, white water rafting to tubing, and world famous Eisteddfod. There are National Trust properties nearby including Chirk Castle, Erddig Hall, Powys Castle and Attingham Park. The historic city of Chester with its race course and abundance of shops set in quaint streets is approximately a 40 minutes' drive away. The shop, pub and restaurant are 2 miles from Canal View near Ellesmere. Living room: With wood burner, Freeview Smart TV, DVD player and iPod dock. Bedroom 1: With link super king-size bed (can be twin beds on request). Gas central heating, electricity, bed linen, towels and Wi-Fi included. Initial logs for wood burner included. Travel cot available on request. Welcome pack. Enclosed patio with garden furniture and gas barbecue. Hot tub for 6. Bike store. Private parking for 4 cars. Ground floor facilities. No smoking. Please note: Fenced canal edge is 10 yards. Holidays at Canal View run from Friday to Friday. For a better idea of where Canal View is, you can see Canal View on the map below. Canal View is in Shropshire; should you be on the lookout for a special offer, you can find all the special offers in Shropshire. It's always worth checking to see what is on offer at the moment. 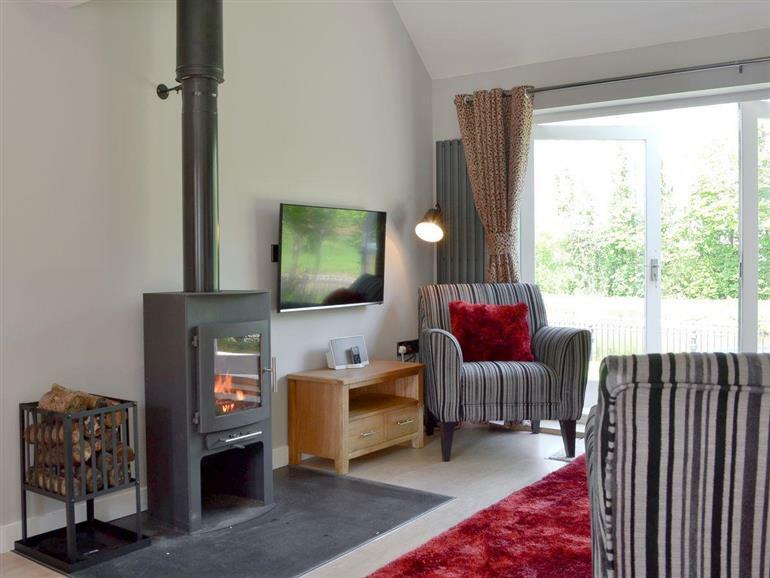 Do you want to holiday near Canal View (UKC404), you can see other cottages within 25 miles of Canal View; have a look to find your perfect holiday location.